This weekend I had the honor of making the smash cake for my friend's daughter's first birthday party. 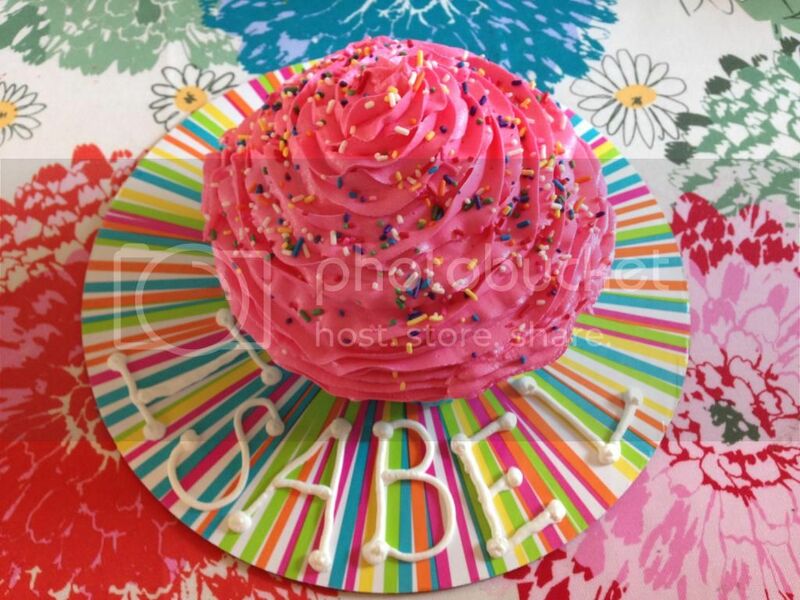 It was cupcake themed, so naturally, a giant cupcake smash cake was in order! I used the ever-so-popular giant cupcake cake pan from Wilton and put it on these awesome new cake boards! They are grease-proof, too! The frosting colors turned out a little bit more neon than I would have liked, but I think it worked well with the colors on the board. 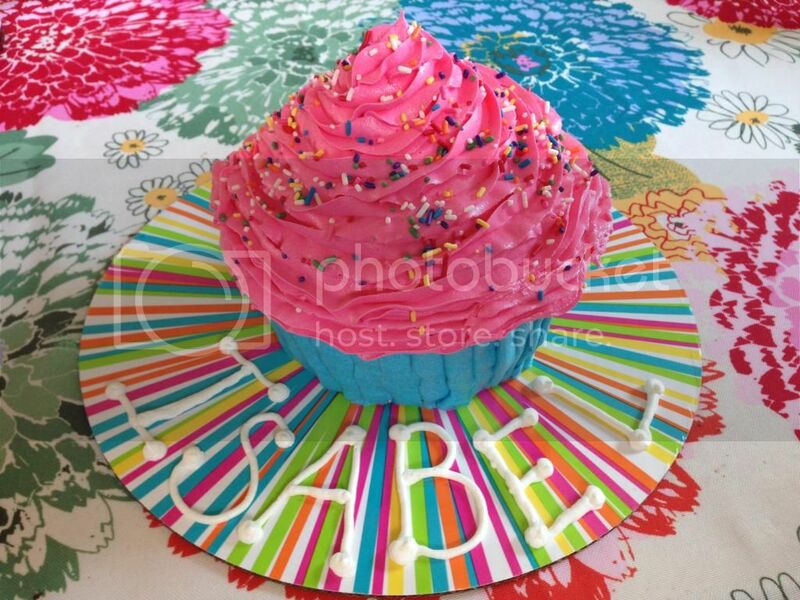 Have you ever attempted to make a giant cupcake cake before? The Lady Gaga ArtRave Tour!